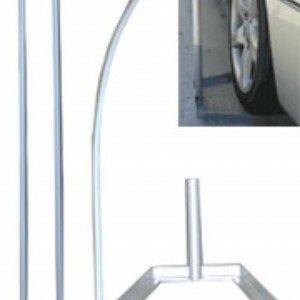 View Cart “QUALITY USED CAR WINDLESS BANNER (BLUE) + ALUMINIUM POLE & BASE” has been added to your cart. 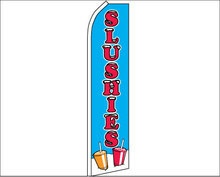 Flag measures 2.8m tall x 800mm wide , made from 140 Denier strengthened Polyester. LARGER FLAGS AVAILABLE ON REQUEST. 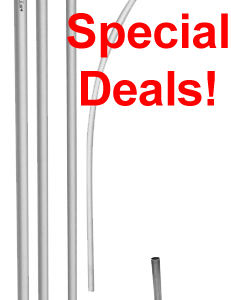 Includes a Sectional Aluminum pole with curved top and steel tyre base kit. Also Available with Metal Ground Stake for Soft Ground. Categories: Catering, Windless Banner Advertising Flags. Tags: catering, coffee, donuts, festivals, ice cream. 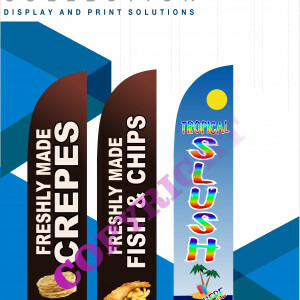 TROPICAL SLUSH CUSTOM FEATHER FLAG..POA. HYUNDAI ADVERTISING FLAG + ALUMINIUM POLE & BASE. JEEP ADVERTISING FLAG + ALUMINIUM POLE & BASE .